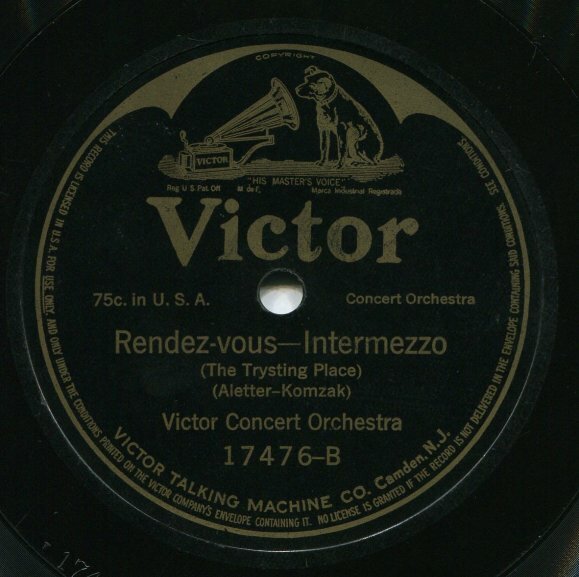 Here are two recordings of “intermezzo” songs that were well-known on both sides of the Atlantic . “The Wedding Of The Rose” (“Der Rose Hochzeitszug“) was published in 1911 by German operetta composer Léon Jessel, best remembered for the song “The Parade Of The Wooden Soldiers.” Jessel was born Jewish but converted to Christianity in 1894. Despite having views sympathetic toward German nationalism and a wife who joined the National Socialist Party in 1932, Jessel’s works were banned in Nazi Germany. He died in 1942 after having been tortured by the Gestapo. “Rendez-vous” was published in 1894 and is the most famous work of German composer Wilhelm Aletter. 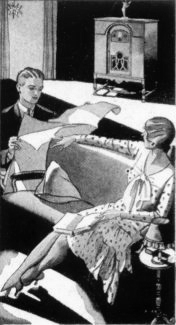 Regular listeners to Radio Dismuke might find themselves wondering, as I did, where they had heard this song before: Herb Wiedoeft’s band recorded a version of it in dance tempo in 1928 that is in the station’s playlist. Also note that in the opening second of “Rendez-vous” one can hear some sort of extraneous sound in the recording studio . This entry was posted in 1910s, Acoustic Recordings, American Recordings, Salon Music, Uncategorized. Bookmark the permalink.